Got a lost sock looking for a buddy?? 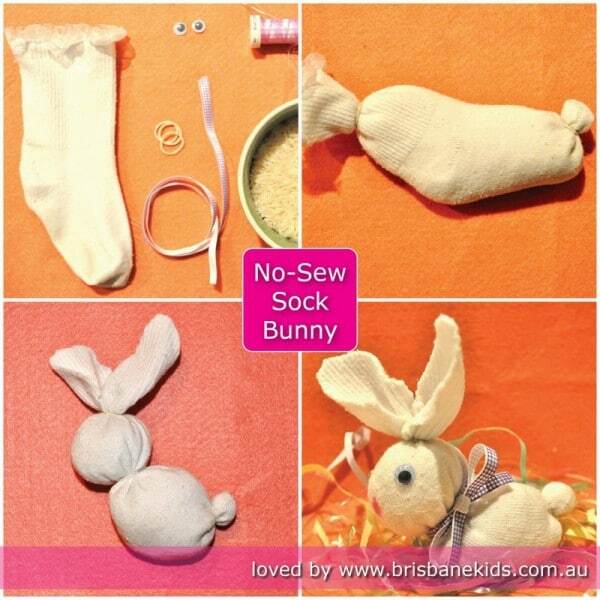 Why not turn that lost sock into a great Easter Sock Bunny for a fun new friend for your Brisbane Kids? 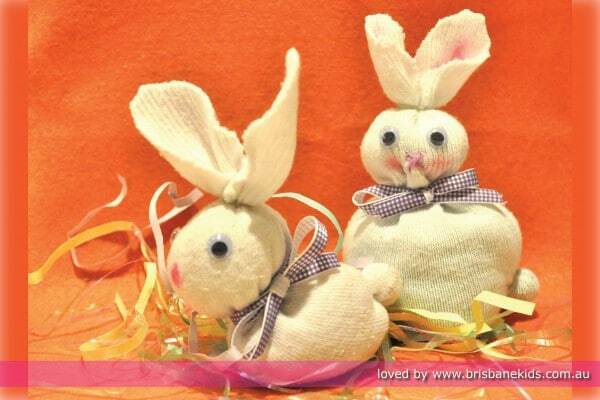 This simple, no-sew sock bunny is so easy—even the kids can do it! 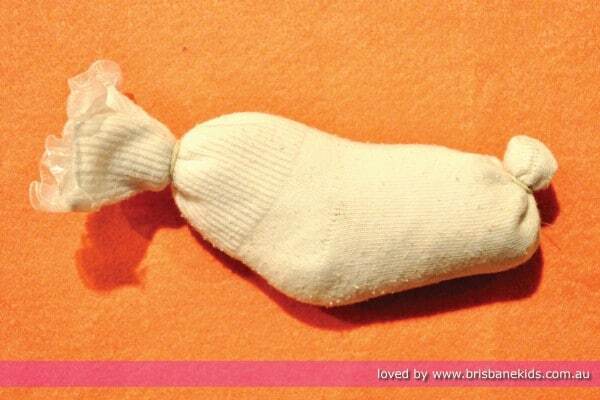 Start by filling the sock to about ¾ full with rice. 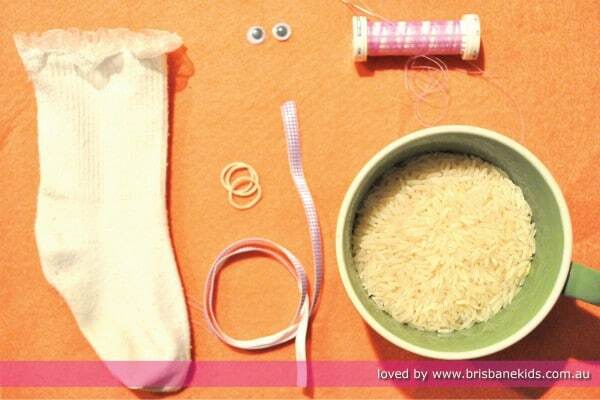 Wrap a band around the open end of the sock to stop any rice falling out. 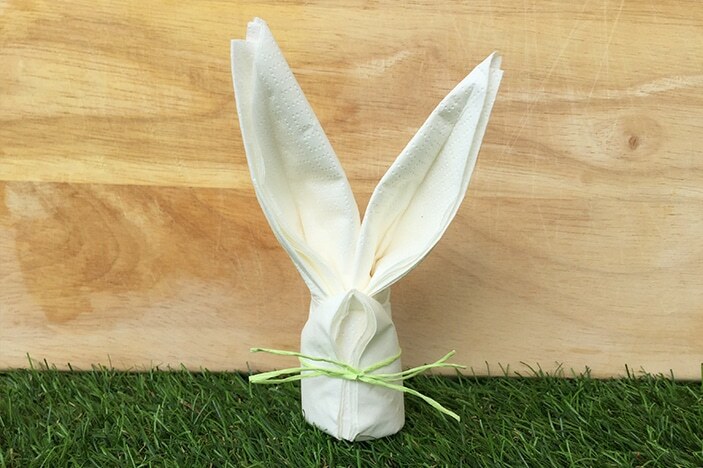 At the toe end of the sock, pinch a small amount of fabric and some rice grains and place a band around this to form the bunny’s tail. Wrap another band around the middle of the sock to form the body. Unwrap the top band from the open end and place it further down to create the head. You may need to tip out some of the rice to get the right size head. 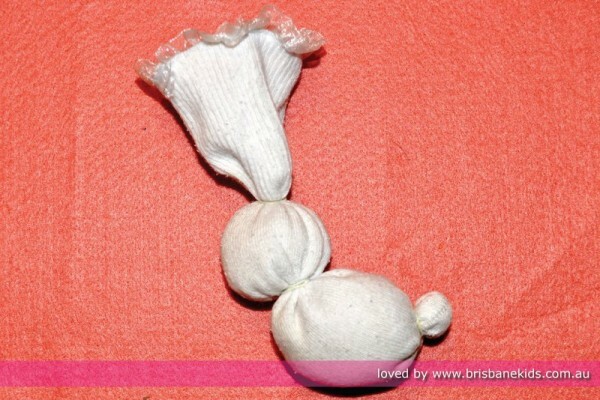 Cut ear shapes out of the open end of the sock. 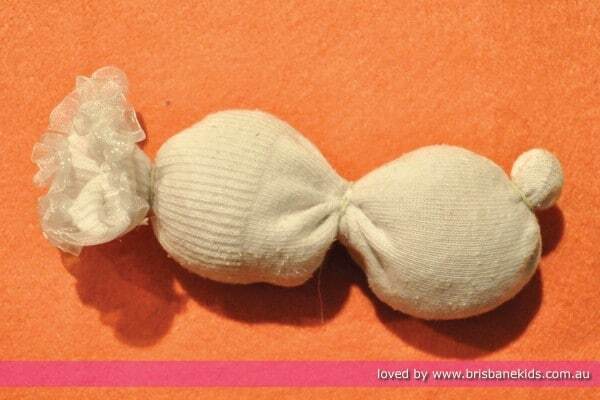 Glue on eyes and tie a ribbon round your bunny’s neck. Now you have a bunny! 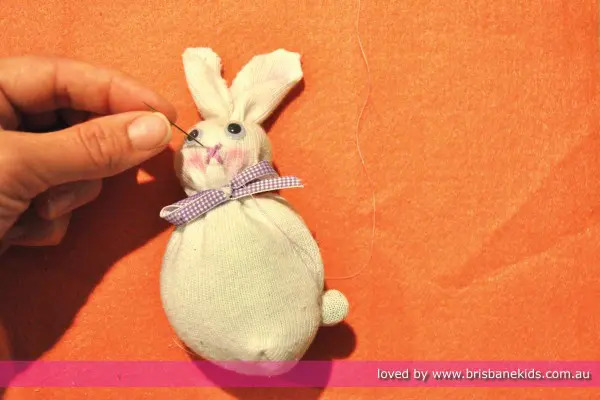 You can add a nose by doing a cross stitch with thread, or use a wet tipped pink pencil to colour one onto the sock directly. 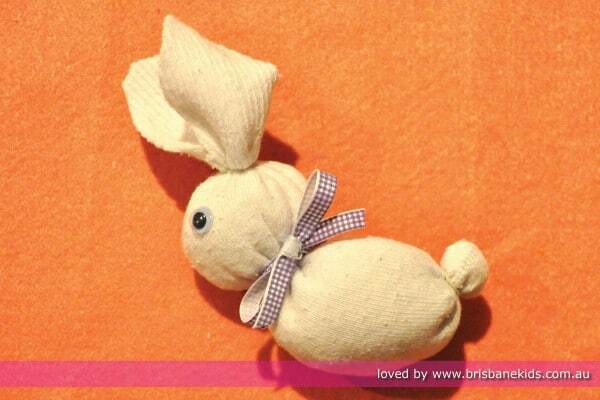 To use a water colour pencil, dip the pencil in some water and then gently smudge the colour onto the bunny’s face. 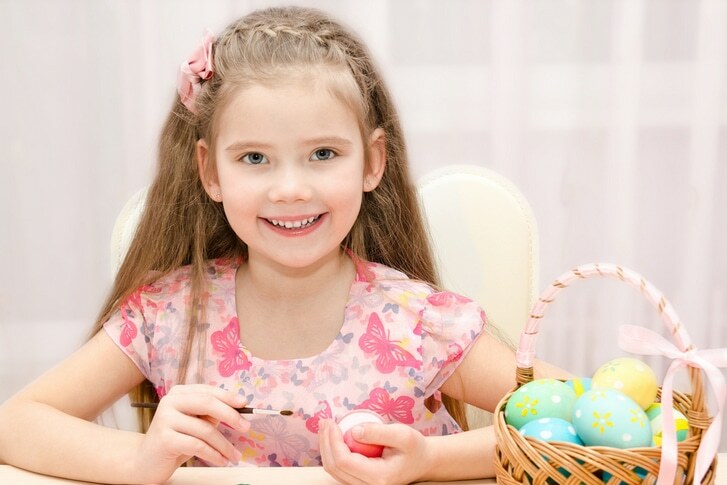 Add extra detail such as rosy cheeks and pink inside the ears using the same wet tipped pencil method. And you are done! 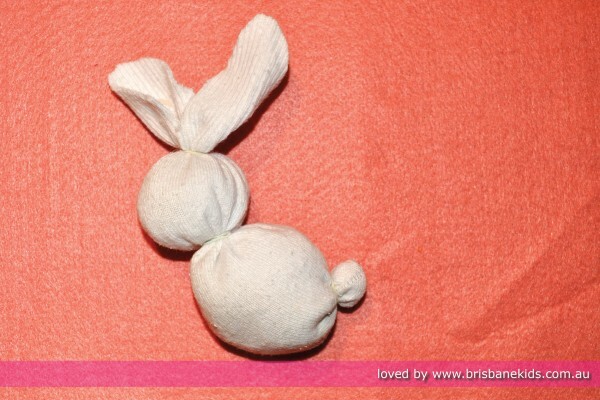 A cute little Easter Sock Bunny for your own little Brisbane Kids bunnies. 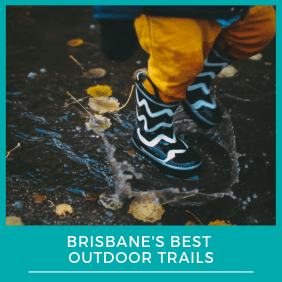 Easter is a great excuse to get creative with Brisbane Kids’ Craft and Fun Ideas. 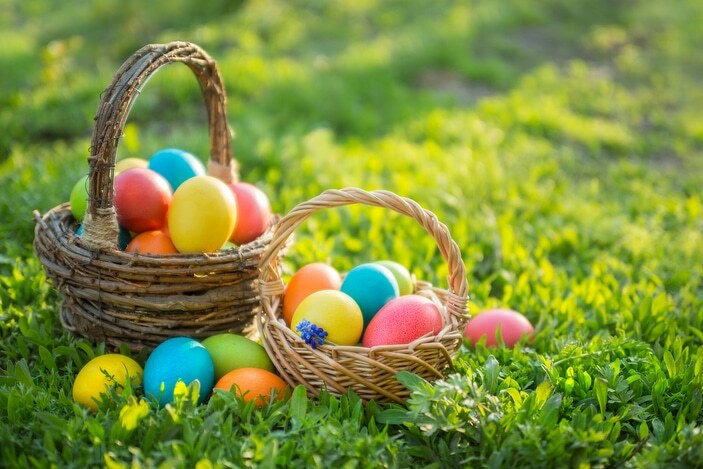 Our DIY Paper Easter Baskets are super cute and you’ll love learning how to Create Your Own Colourful Easter Garland. This project was as easy. I love this idea. I’m going to make 3 of them for my adorable grandchildren.